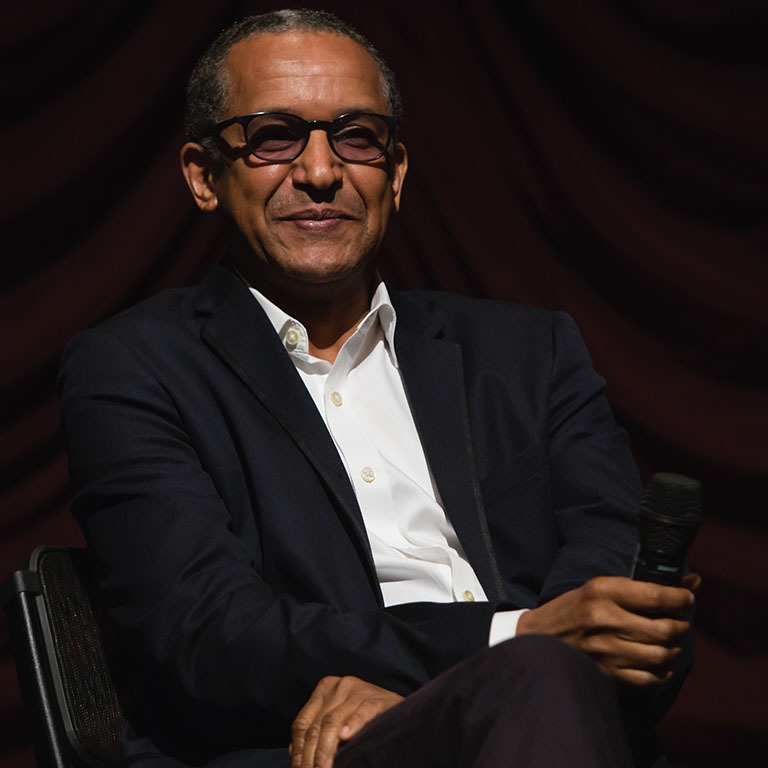 Abderrahmane Sissako (born 13 October 1961) is a film director and producer who has often worked in Mali and France. Sissako is, along with Ousmane Sembène, Souleymane Cissé, Idrissa Ouedraogo and Djibril Diop Mambety, one of the few filmmakers from Sub-Saharan Africa to be considered one of the world’s leading filmmakers. His film Waiting for Happiness (Heremakono) was screened at the 2002 Cannes Film Festival official selection under Un Certain Regard, winning the FIPRESCI Prize. His 2007 film Bamako received much attention. Sissako's themes include globalization, exile and the displacement of people. His 2014 film Timbuktu was selected to compete for the Palme d'Or in the main competition section at the 2014 Cannes Film Festival. Soon after his birth Sissako's family immigrated to Mali, his father's country, where he completed part of his primary and secondary education. Sissako returned briefly to Mauritania, his mother's land, in 1980. Then he left for Moscow, where he studied cinema at the VGIK (Federal State Film Institute) from 1983 to 1989. Sissako settled in France at the beginning of the 1990s. In addition to feature films and short films, Sissako has served on the jury of the Premiers Plans festival in Angers in January 2007, and on the jury of the Cannes Film Festival later in the same year. Abderrahmane Sissako in the lobby of IU Cinema. Abderrahmane Sissako on stage at IU Cinema. Abderrahmane Sissako on the steps in front of IU Cinema. Director Abderrahmane Sissako on stage at the IU Cinema.